Hello everyone! 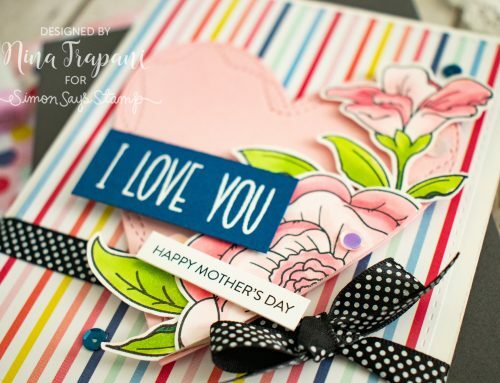 Have you ever tried mixing different coloring mediums together to achieve the look you want? 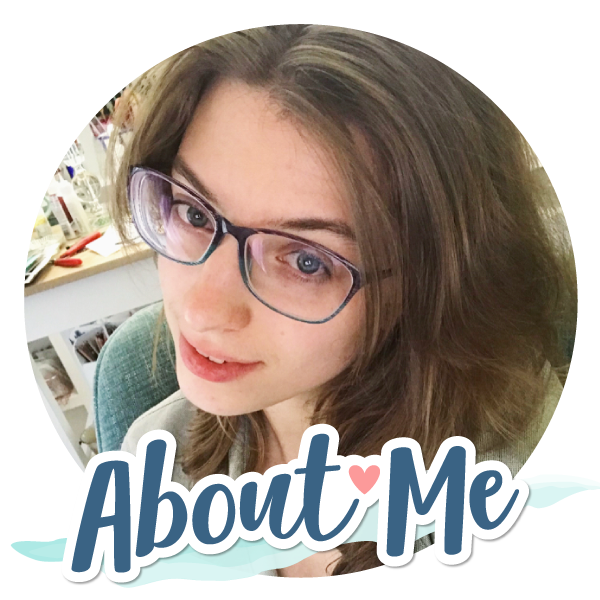 I have in the past and wanted to do it again! 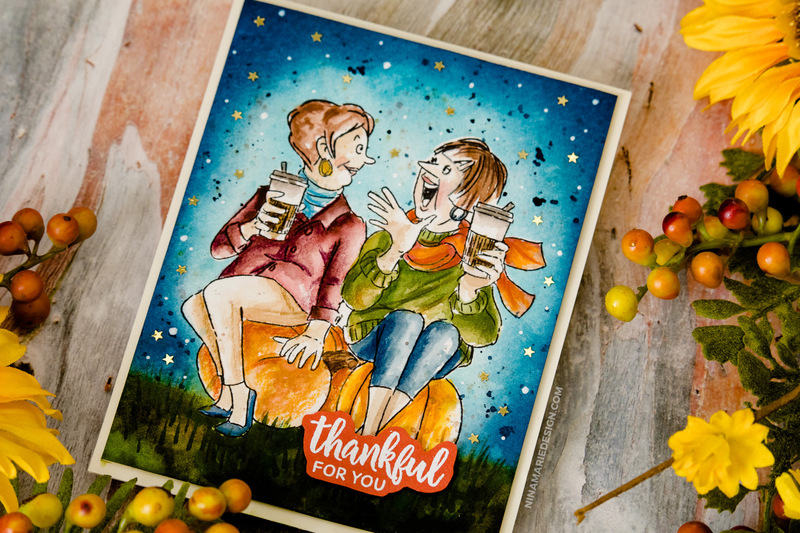 Today I will be using colored pencils, watercolors and Distress Inks together to make this pretty scene, which features Simon Says Stamp’s STAMPtember® exclusives with Art Impressions and Studio Katia. 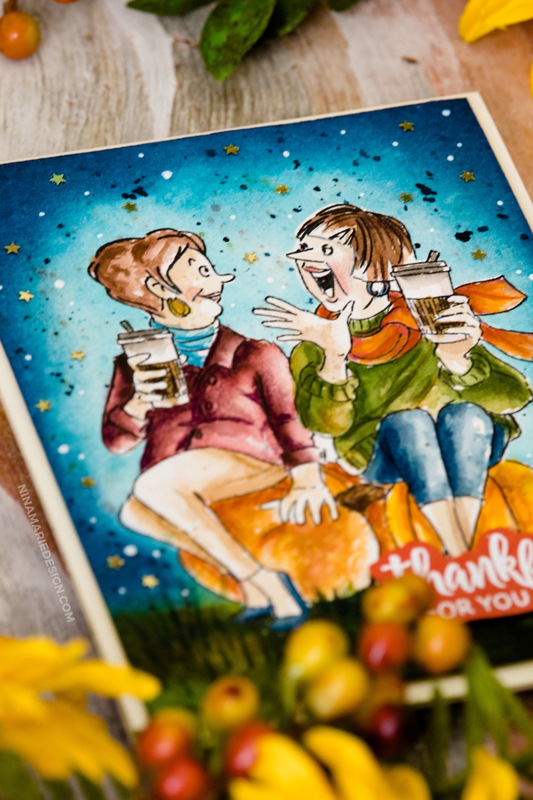 This STAMPtember® set features two, fun ladies each drinking their coffees (pumpkin spice lattes, according to the sentiment!). The coloring of the ladies was done with both watercolors and colored pencils. After I colored the image, I used a Post It Tape mask to add an ink blended sky (and grass) around them. In the sky there are gold mini stars and dots of white gel pen; I love mixing in white gel pen details on so many of my cards. 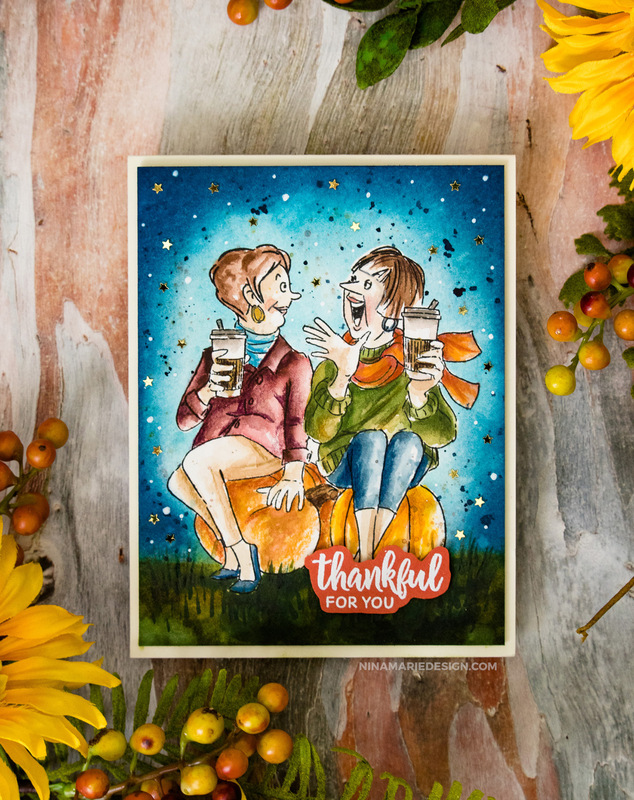 For the greeting, I decided to use the thankful sentiment in Simon’s Studio Katia exclusive; this was stamped on Burnt Orange cardstock and embossed with Alabaster embossing powder. I had so much fun coloring this large, detailed image with multiple mediums; it allowed me to create exactly the look I was going for! Sometimes I forget that I can get creative with my coloring mediums and tend to stick to just one throughout the whole card. Do you do tend to do that too? 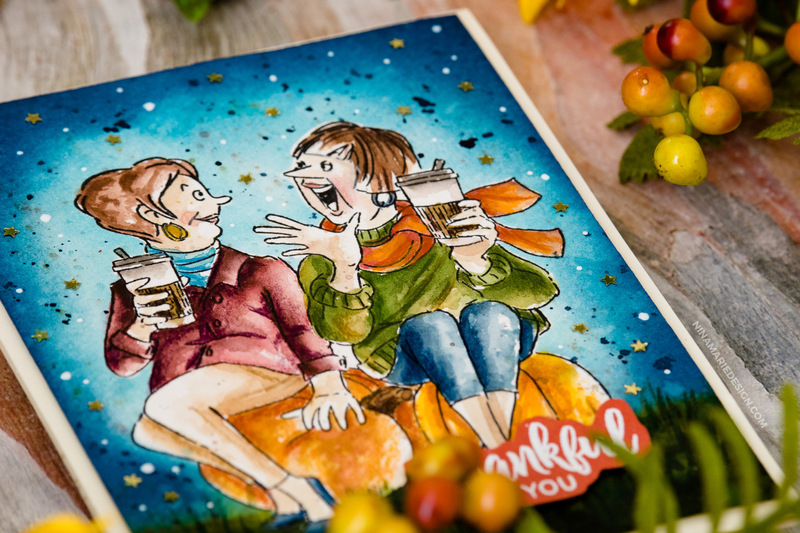 Today’s card features two of Simon Says Stamp’s STAMPtember® exclusives; Pumpkin Spice from Art Impressions and Fresh Bunch from Studio Katia. Both of these sets are limited editions and are only available while supplies last. If you like either or both of them, I would encourage you to pick them up as soon as you can so that you don’t miss out. 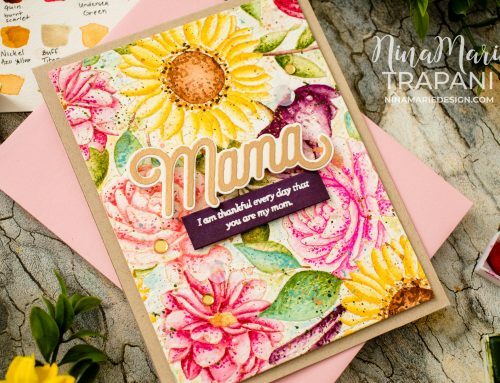 And whether you do or do not have these sets, I hope you are inspired and will try mixing your coloring mediums on YOUR next card project! Thank you so much for visiting with me today; I will be back again soon with more inspiration to share! Love your coloring and incorporation of the different mediums! 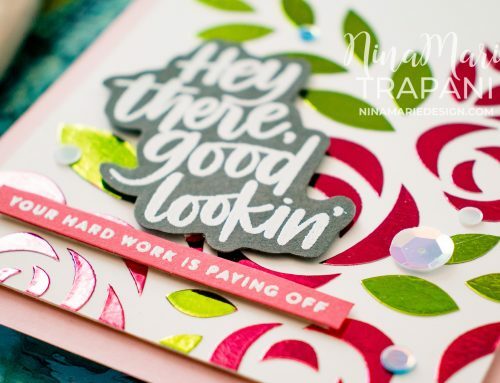 WOW Nina, this is an amazing card. Very well done! How beautiful!! Thank you for sharing your wonderful coloring process and thanks for great inspiration!